Over the past several years, mild weather and surging domestic production of natural gas have muted the seasonal effects of the winter heating season–the period of peak demand for this thermal fuel. 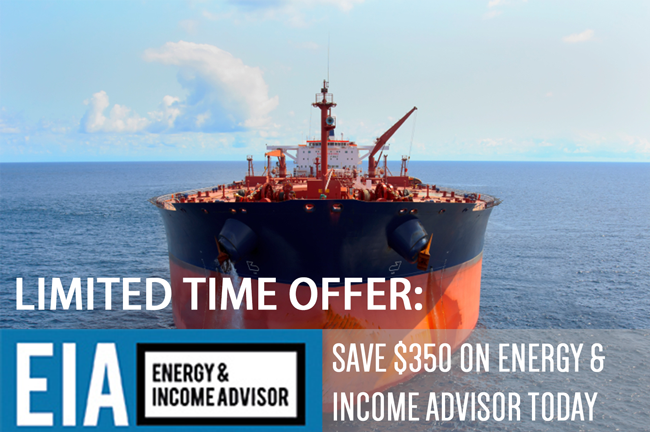 But the 2013-14 winter served as a reminder that extended periods of frigid temperatures can still exert a pronounced effect on this commodity’s price. Unfortunately, far too many investors and commentators mistook this seasonal surge in natural-gas prices for a durable rally; unless last winter marked the onset of a new ice age, the underlying supply and demand trends that prevailed before the polar vortex were always going to win out. We emphasized this point to readers in Commodity Price Outlook for 2014 and Winter is Ending: What the Future Holds for Natural Gas and Propane. We were right. 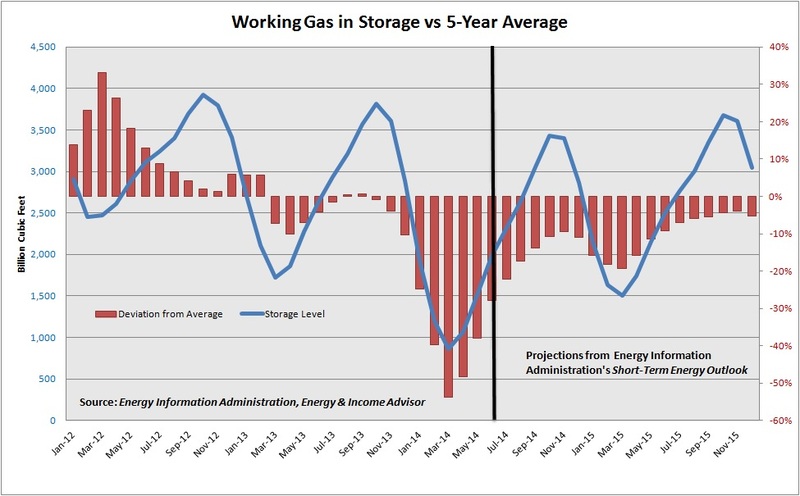 Record injections this spring and summer have brought the volume of working gas in storage to within 22 percent of the five-year average, while the Energy Information Administration’s most recent Short-Term Energy Outlook calls for this divergence to shrink to about 10 percent by the end of October. What factors have catalyzed this record injection season and the recovery in inventory levels? On the demand side, higher natural-gas prices prompted some gas-to-coal switching among electric utilities, while relatively mild summer temperatures have reduced electricity demand related to air-conditioner use. But the biggest response has come from the supply side, a factor underestimated by analysts who naively expected better discipline on the part of producers and failed to consider other trends under way in the upstream segment. 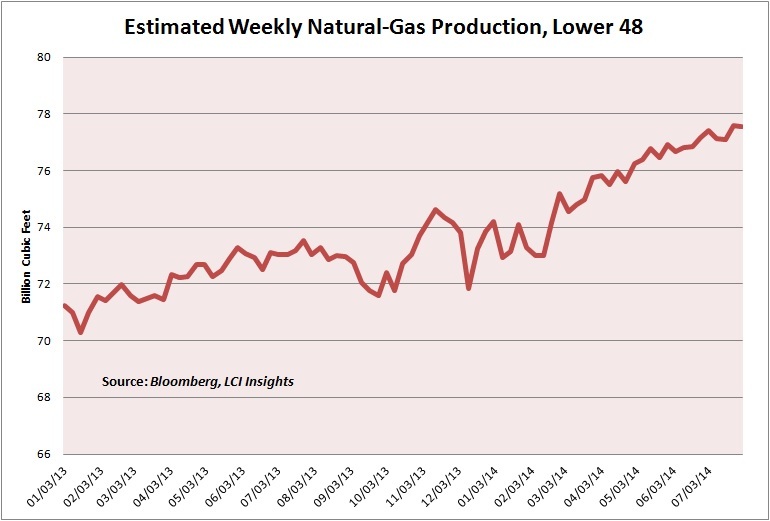 Weekly production estimates from LCI Insights indicate that natural-gas output from the Lower 48 has surged to an all-time high of about 77.5 billion cubic feet, up about 6.2 percent from year-ago levels. The start-up of new midstream capacity–gathering lines, processing facilities and pipelines–in the prolific Marcellus Shale, the Bakken Shale, the Permian Basin and the emerging Utica Shale likewise has helped to refill storage capacity. 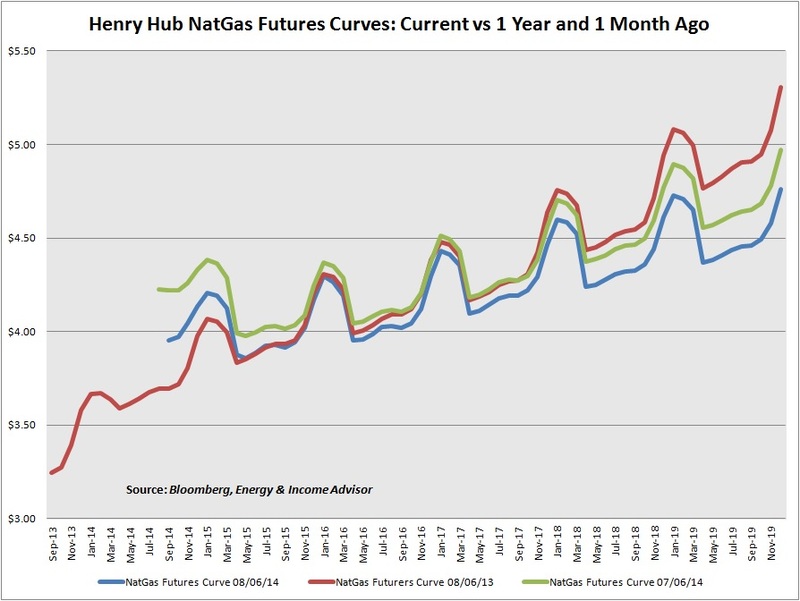 This upsurge in production has elicited a corresponding response in the natural-gas futures curve, which has declined considerably over the past month and the past year. Although rising pipeline exports to Mexico and seaborne shipments of liquefied natural gas (LNG) will provide producers with much-needed demand outlets over the coming five years, investors shouldn’t make the same mistake of ignore the US and Canadian oil and gas industry’s capacity to grow production. Growing demand will provide some uplift in prices, but investors shouldn’t expect a sustainable upsurge in prices over the next several years.